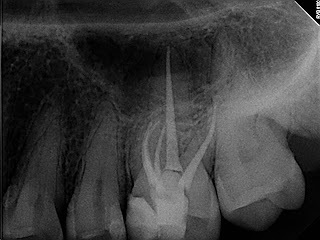 Bauman Endodontics: How many canals are normal? I was reading a post on www.theendoblog.com (this blog is well done) and they were discussing missed canals. If you have read previous posts you know that I retreat many teeth with missed canals and feel that we should make every effort to find them the first time. This then leads to the question of how many canals are normally in a given tooth? This is a tough question because it is variable. Also canals can join so it may have 4 canals in the chamber but two may join and exit at the same place. 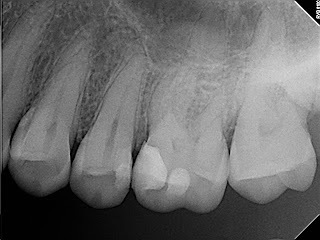 Upper first molars usually have 4 but sometimes they only have 3. Below I will share a case with 5 canals. Upper pre-molars usually have two but can have one or even three. 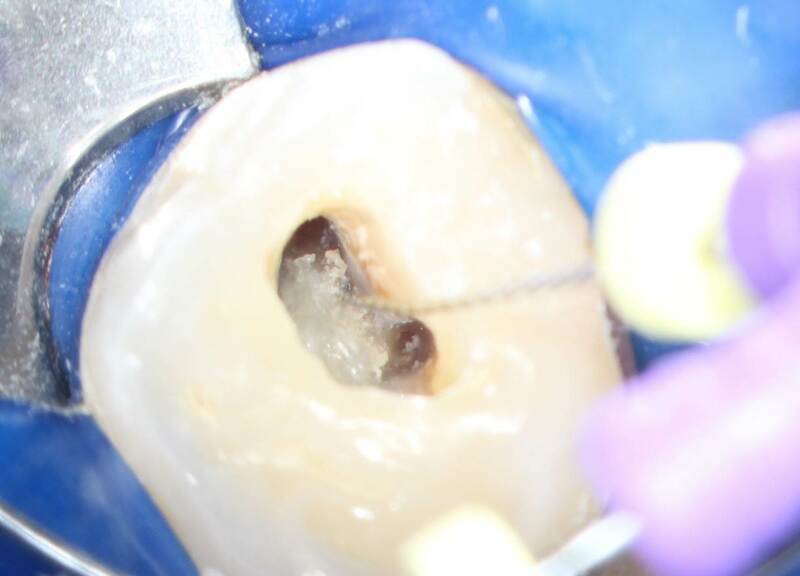 When we treat teeth I feel it is best to assume there are more canals and take the time to look for them. It is very hard to find these canals without the help of the operating microscope, but even with the microscope we will never find them if we don't look. Here is a case of an upper molar that has more than the "usual number" of canals. This one has 5 canals as I mentioned above and none of them join. 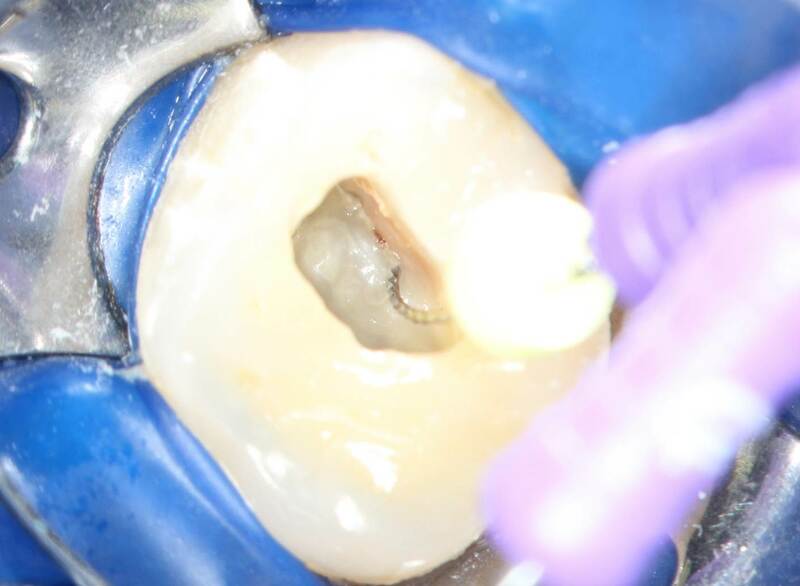 I will add more posts later with other interesting teeth with more than the "normal" number of canals. Now we have started to treat the first two canals and we find another one between them - here the file is going into a third canal in this root. People often ask me why a canal wasn't found the first time. I answer that it is not easy to find them as seen in this picture. 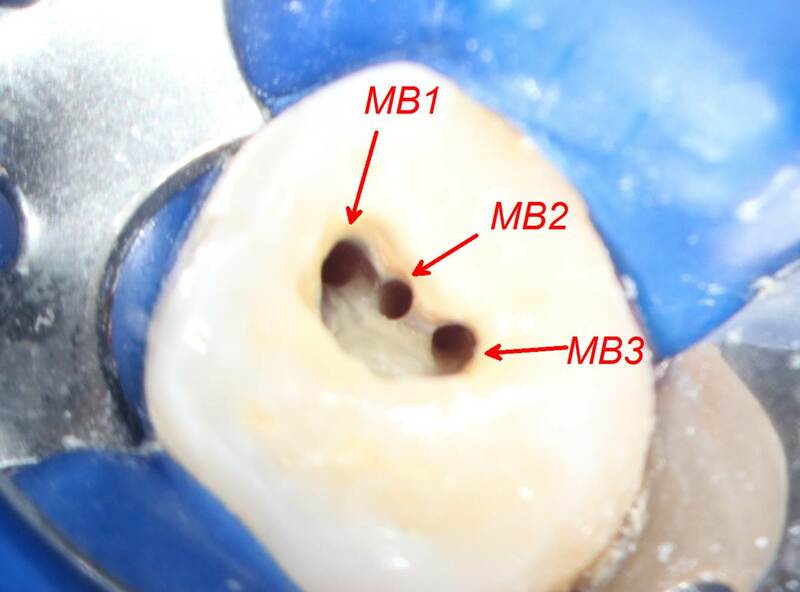 Here are all three mesial canals after we have cleaned and shaped them. Here is the final radiograph that shows all three extend down to the end. two are hard to detect and you can only see they are separate at the end.